Say what you want about the filth found on Comet Ping Pong Pizza owner James Alefantis' Instagram. 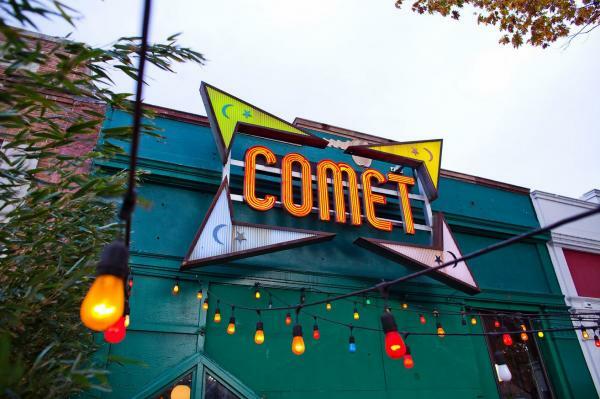 The most damaging pictures are those of Alefantis and crew digging holes in the floor without a permit and what appears to be an attempt to connect Comet Ping Pong to the exclusive underground Labyrinth of Washington DC. Tie all of that into to Alefantis ranking as GQ's 49th th most powerful man in DC and Politics and Prose owners Graham and Muscatine as Number 50. Alefantis and company and the circumstantial evidence far outways even the Michael Jackson pedo scandal. Maybe that's why McCauley Culkin named his band the Pizza Underground?